Once filled with boarded-up storefronts and bungalows, “RoRo” is now the epicenter of downtown’s burgeoning arts scene and is especially lively on weekend nights. Galleries, studios and pop-up art spaces showcase works by emerging Arizona artists. Keep your eyes peeled for colorful murals adorning the sides of buildings. Phoenix First Fridays and Third Fridays art walks bring out the crowds for exhibit openings, live music and street vendors. 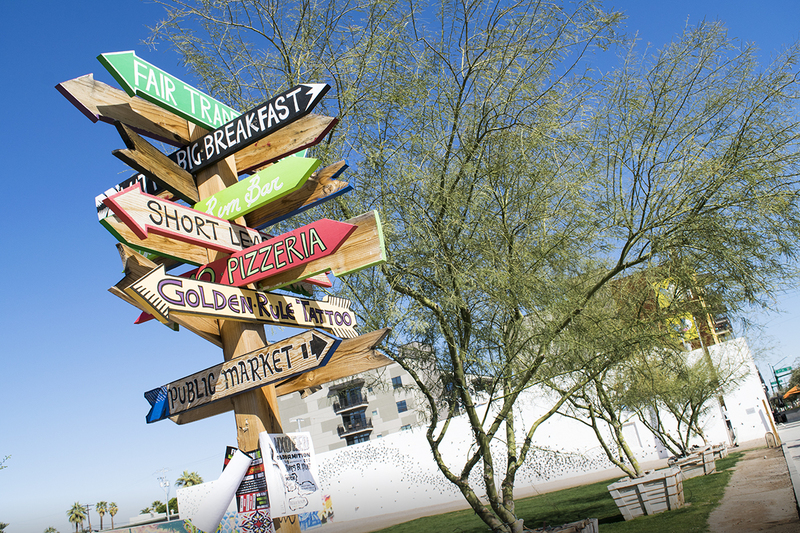 Check the calendar at Margaret T. Hance Park for outdoor events hosted at the park, such as the popular McDowell Mountain Music Festival, beer festivals, food fests and more. MonOrchid, a hybrid gallery, studio and workspace housed in a 1937 warehouse, is also available for private events. The Phoenix Pride LGBT Center has rooms for small groups in its mid-century, garden-office setting. Local and national jazz acts hit the right notes at the intimate venue The Nash. At The Lost Leaf, it’s beer and bands inside a 1920s bungalow. Browse vintage vinyl, tapes and CDs at Revolver Records. Inside Made Art Boutique, look for handmade ceramics, jewelry and art, and hard-to-find books and magazines. Carly&apos;s Bistro features sandwiches—such as the pear sandwich with prosciutto, brie, and balsamic vinaigrette on focaccia—and a rotating selection of local and regional craft beers on tap. Up late? Jobot serves coffee, crepes and more until midnight daily, and is open 24 hours on weekends. Written by Nora Burba Trulsson. 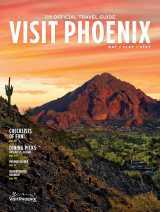 Originally printed in the 2016 Greater Phoenix Destination Guide: Meeting & Travel Planner Edition, published by Madden Media. 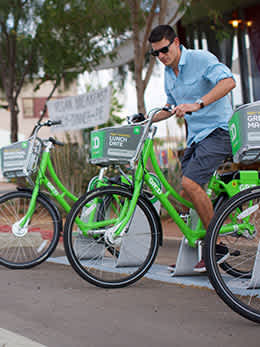 Rent a Grid Bike and take a two-wheeled tour of Central Phoenix's arts and culture scene. 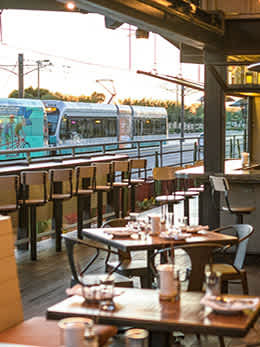 Hop on the light rail and wine and dine your way through the CenPho food scene at these spots.